I literally want to try all of those fruit infused waters and those lemonades! So yummy and perfect for summer! I'm always looking for a good refreshing beverage for hot days! Love these. Esp the lemonades. How fun are those? Summer can be pretty refreshing at least if there is also AC involved. This makes me want to spice up my welcome mat. You always have such great stuff here! 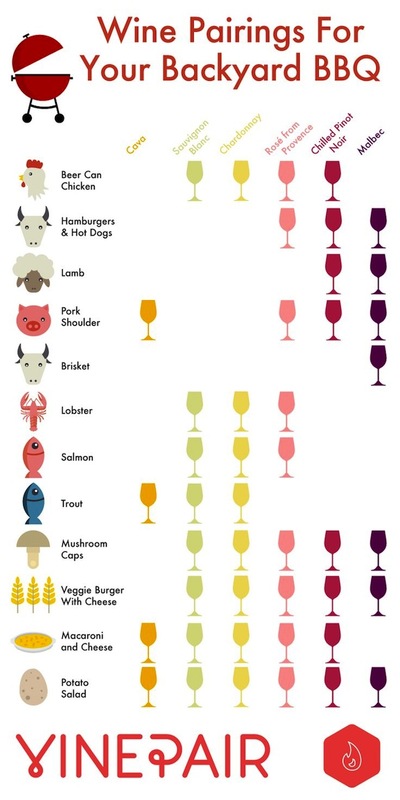 The wine pairings!!! Awesome. I finally get to have my wine again and it's such a happy day! These are great pictures! I just pinned the wine one! I always wonder about that! Thank you for sharing! I love all these pins! Especially the seasonal one. Im all about farm to table - plus if you buy seasonally you get the most delicious & fresh produce for the best price. And clearly, all wines go with potato salad. What a great post! The color alone makes me excited for summer. Love all the great tips :) You leave for your trip soon, right? Hope you have so much fun! Take lots of pictures. I am drooling over the fruit infused water!! They all look so delicious!! Love everything lemonade for the summer, those all sound so good!! Lemonade sounds SO GOOD RIGHT NOW!!! I'm dying for an ice cold one... or raspberry one!